View Our Amenities Enjoy the countless amenities our hotel has to offer. Thoughtful amenities include the Pier 7 Restaurant & Bar, Complimentary Hotel Bicycles, Pools, and much more. View Our Location Just blocks from the seawall, our hotel is located on the waterfront in Downtown Vancouver--right where you want to be. Featuring two onsite restaurants and a range of convenient amenities including a bright, modern fitness facility and a 25-meter, 5-lane swimming pool, the Pinnacle Hotel at the Pier is here to help you make the most of your trip to North Vancouver. Overlooking a sweeping vista of the Burrard Inlet, Pinnacle Hotel at the Pier offers North Vancouver accommodations with spectacular views. 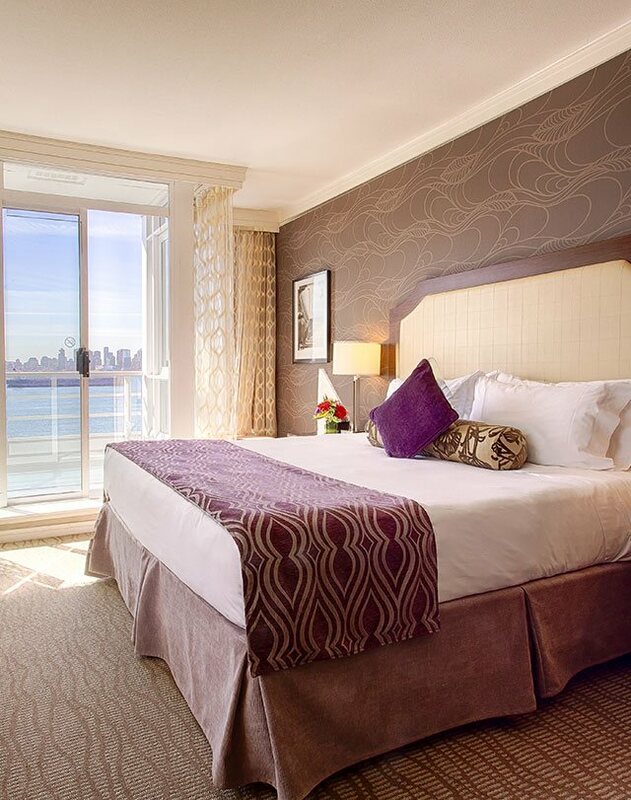 Book now and choose from three different room styles, all of which feature complimentary high-speed WiFi, 42” TV, luxury linens and much more. Learn More Our hotel offers countless amenities to make your home away from home as comfortable as possible. Free WiFi, hotel car, bikes and more!